High Performance PowerLink fills a long-standing need in enthusiast home entertainment systems, where stock power cords are limiting the potential and performance of components. High Performance PowerLink can make an amazing difference in the dynamic impact and musical performance of a home entertainment system. Given HPPL's modest retail price, a small investment can transform the personality and performance of a system when all of the stock cords are replaced with HPPL. 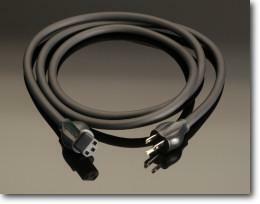 High Performance PowerLink comes standard in a 2-meter length, but other lengths are easily obtained via custom order. Although HPPL is rated for high current, it will still "play well with others" in the tight quarters behind most home entertainment systems.